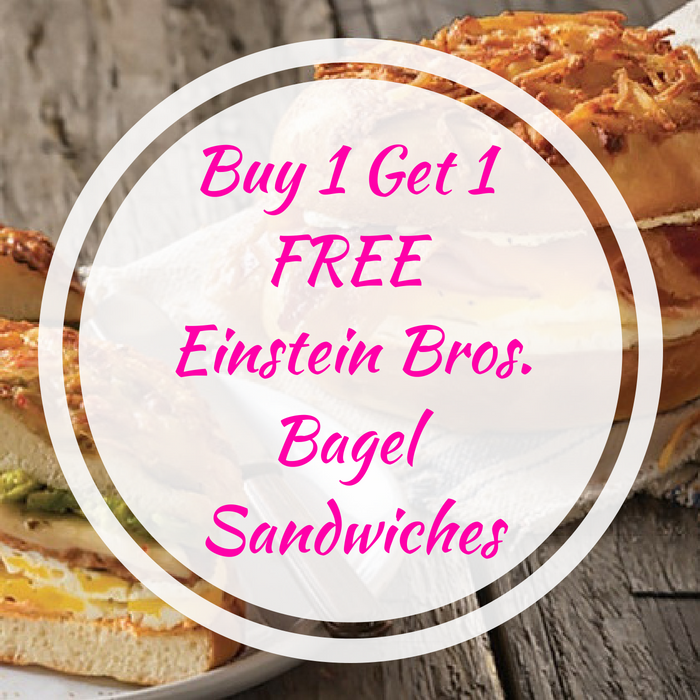 Buy 1 Get 1 FREE Einstein Bros. Bagel Sandwiches! You are here: Home / FREEbies / Buy 1 Get 1 FREE Einstein Bros. Bagel Sandwiches! Starting July 2 up to July 6 only! Participating Einstein Bros. Bagels locations will be offering a Buy One Get One FREE Bagel Sandwiches from the Flavors Across American Menu! All you need to do is simply go to your nearest participating store and show your local ID (driver’s license, library card, mail, etc.). Sweet!